Czech cellist Frantisek Brikcius chose to dedicate his life to the interpretation of cello compositions written by composers of the 17th, 18th, 19th, 20th and 21st century, with special consideration given to the compositions for cello solo. He also allows himself time to concentrate on works by Czech, Terezín and contemporary composers. František Brikcius plays a "George Kriwalski" cello made in the 1904. He is together with his sister Anna Brikcius, founding member of the "Duo Brikcius". Music cooperation with Talich chamber orchestra, pianist Tomáš Víšek, composer Irena Kosíková and conductor Jan Talich. 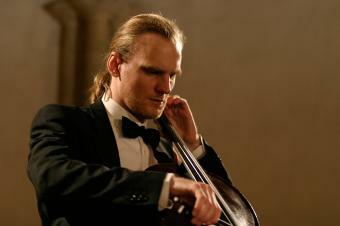 More information about František Brikcius and his projects ("Prague - Brno: 6 Contemporary composers for cello solo in the interpretation of František Brikcius", "Tartini's L'Arte dell'Arco in the interpretation of František Brikcius". "7 Candles", "Weinberger Tour", "Duo Brikcius - 2 Cellos Tour", "MAKANNA", eSACHERe", "Festival Brikcius" ) is available on websites http://www.Brikcius.com and http://Festival.Brikcius.com .